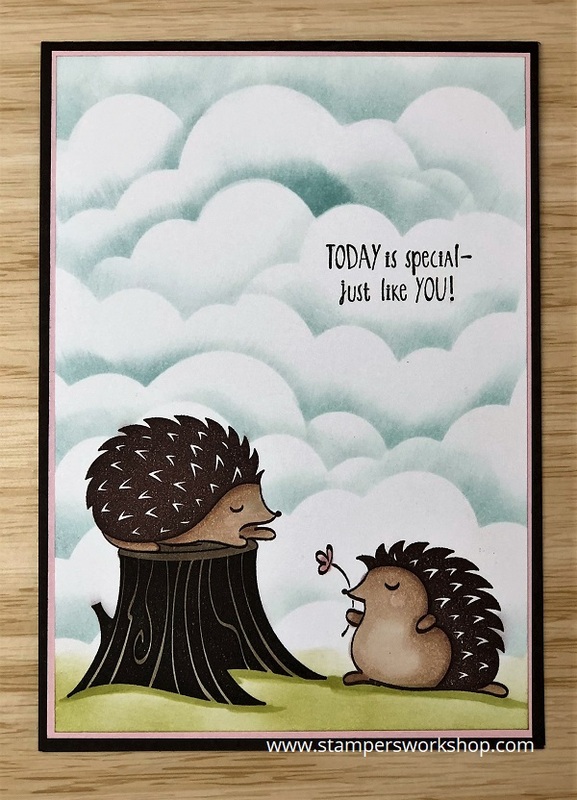 Hi, I couldn’t resist making another card using the Hedgehugs stamp set. These critters are way too cute. I decided to make a card very similar to the one I shared a few days ago but this time, I wanted to include the squirrel and the bird as well as the hedgehogs. 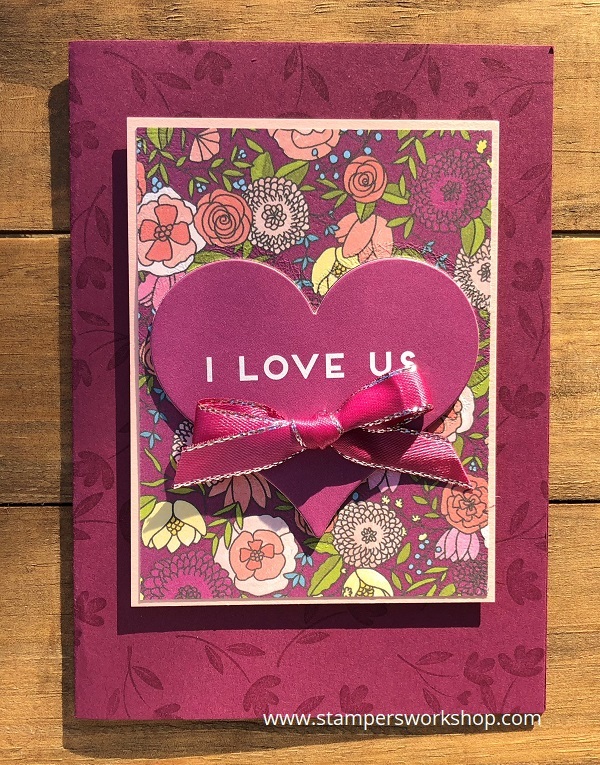 I’ve used a mix of colouring methods and mediums to create this card. The squirrel and hedgehogs were coloured with Stampin’ Blends. The bird, as well as the leaves and the branch, was coloured with Stampin’ Write markers. For this process, I coloured the stamp directly with the markers so I knew exactly where the different colours would go. For the clouds, I used my sponge dauber and a template I made using a die from the Rainbow Builder Framelits die set. And finally, for the grass, I used my sponge dauber and then a Stampin’ Write Marker to add deeper colours in places. I love creating scene cards and these little critters are such fun to create with. Wherever you are today, I’m sending “hedgehugs” your way too. 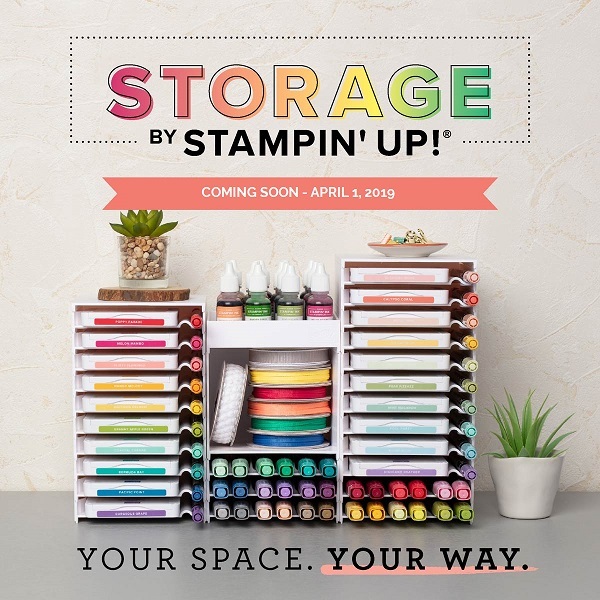 Hi, I’m featuring a stamp set which was another of those that jumped out and said, “buy me” when I first saw the Occasions catalogue at OnStage last year. 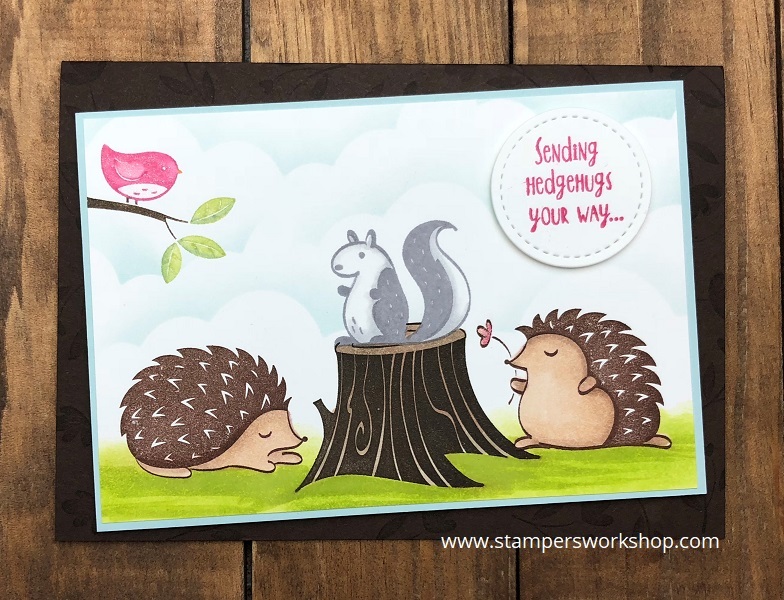 The Hedgehugs stamp set features two super cute hedgehogs as well as a bird, a squirrel, some scene building stamps and some lovely sentiments. I really like the font too. It is quite different. I know sometimes some people can have difficulties with images such as these as they are solid images but you can still add your own flair and colouring through a number of different methods. For this card, I stamped the hedgehogs in Chocolate Chip ink and the tree trunk in Early Espresso. 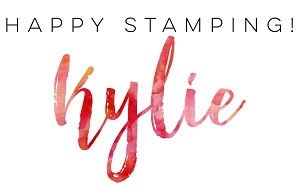 I used my Stampin’ Blends to add extra dimension to the images. You could also use a sponge dauber to apply different inks to the stamp, or you could colour directly onto the stamp with your Stampin’ Write makers. To create the sky, I used a die from the Rainbow Builder Framelits Die set. I cut out a border of clouds and then used a sponge dauber with Soft Sky ink to create the clouds. This is a rather subdued colourway (and the photograph makes it look darker again) but I think it is really pretty. You could always use brighter colours and it would completely change the look of the card. Oh, and if you are wondering why the hedgehog is on top of the tree stump? I thought it would look like the other hedgehog was presenting her with a flower. How romantic!